Get a makeover with a new hair colouring treatment that will give your hair new life. By using a damage-free hair colouring product, damage caused by chemicals in the colouring treatment will be reduced, protecting your precious locks. Seal it all with a hair treatment to give you straighter and manageable hair. Valid Mon - Sun: 11am – 8pm. Valid on daily and public holidays / eve of public holidays. 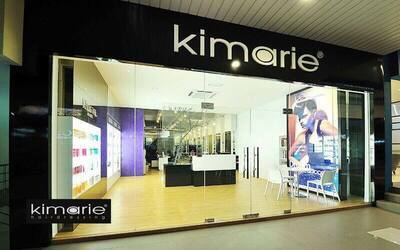 Limited to first-time customers of Kimarie Salon only. Valid for hair length up to shoulder. RM30 surcharge applicable for longer lengths. RM50 surcharge applicable for bra hair length. RM80 surcharge applicable for extra long hair length. Customers are encouraged to call us for an estimate pricing prior to purchase. This service is done by stylists.